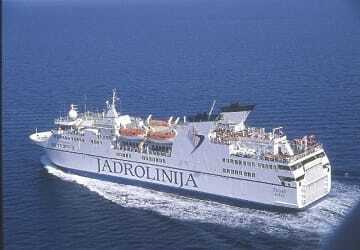 The Zadar ferry carries around 1053 passengers and up to 280 vehicles and offers an array of on board facilities to keep you entertained during your trip including, self-service restaurant, a la carte restaurant, a children’s play area, V.I.P lounge, café/bar area and a duty free shop for those who like to treat themselves or others. Zadar features twenty eight en-suite 2 berth inside and outside (sea view) cabins fit for housing up to 56 of its passengers. Airline style seating is available for those who’d prefer not to book a cabin. Please Note: Whilst we have taken great care in making our Zadar guide as accurate as possible, onboard facilities, services and entertainment may vary depending on the date and time of year that you travel, facilities mentioned may change without notification and ferry companies reserve the right to operate vessels other than those mentioned at time of booking without prior notification. 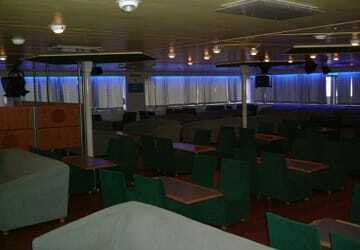 Everything went very well, clean ship, clean toilets, kind crew, the ship was not too full. The only bad thing was the freezing air conditioner, perhaps 18° was too much. Good punctuality. Excellent experience. Had a mix-up initially regarding a berth (my mistake) but it was resolved quickly and to my great satisfaction. Would certainly use your line again if given the opportunity. The return trip from Zadar with Jadrolinjia was excellent. The ferry was clean and on time, on both departure and arrival in Ancona. The only flaw is that from the old to the new port just outside Zadar there are no directions; it's not very convenient for foot passengers. "Shabby and old fashioned, but adequate "
Ship interior was quite old and somewhat shabby, but everything worked all right. Breakfast adequate. "Boarding and deboarding chaos- Once is enough!" the food was expensive regard the quality and for the service, we arrived a little bit late but in general it was nice. 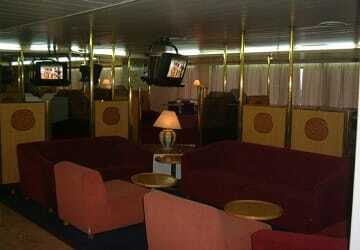 "A pleasant cruise across the Adriatic "
Overall the experience was very good. The checking in process could be greatly improved.Hundreds of people were milling noisily around and sometimes inconsiderately, and only one check in window was open. The staff member was under great pressure but handled it well. Stood in check in queue for an hour. We thought it was a lovely trip over to Zadar. Slightly basic breakfast, but otherwise a splendid sailing. Found the small but well signposted port in Zadar easily. The boarding of the ferry was well-organized and we were greeted by friendly staff who even allowed us to pop on to the bridge to see the captain. Air conditioning was a bit strong in the cabin, but the room itself was fine.